Joe is very grateful to become the newest member of the "Hottest Band In The Land" Soul be it. 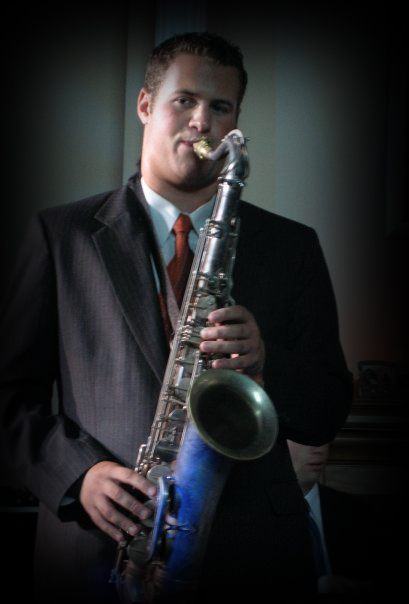 Playing the saxophone is Joe's passion in life and he is extremely excited to share a stage with such talented musicians. Joe has been playing the saxophone since the age of 10. Throughout his career, Joe has had the privilege to study under great musicians such as Dave Pietro, the late Bob Berg, Jerry Weldon, Paquito D'Rivera and George Bouchard. Joe began performing at a young age in local town bands and big bands. His love for playing continues throughout his career and through his teaching. He is a band teacher in NYC Public Schools and loves having the opportunity to give adolescents the chance to play a musical instrument. His playing career has been very versatile and he has had the opportunity to play music in many different genres. For about a decade he was the lead alto sax player in New York 's Most Dangerous Big Band and he was co-leader of an original funk band called Heptaphonic in which he played tenor sax. He currently freelances with various wedding bands as well as playing tenor in his own jazz combo MJ3, and bari sax in Soul be it.